C20 South West Group have a list of upcoming events for later in the year. Put the dates in your diaries and check back for further details! 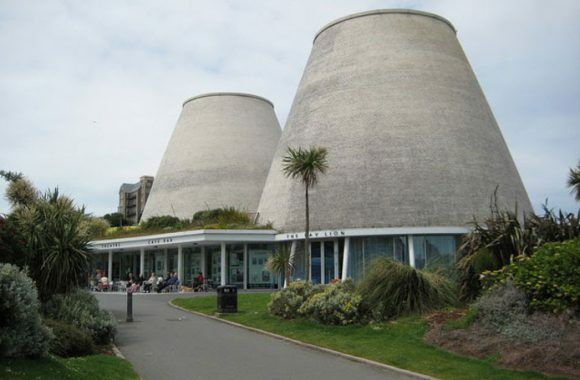 Enjoy some of Plymouth’s C20 buildings including the refurbished Grade II listed Walls & Pearn Pannier Market (1957-9), the 1961 Athenaeum, and the Reel Cinema on an informal wander around the city centre. We also propose visiting Royal William Yard (1825-31, and transformed by Urban Splash from 2004), where there will be the opportunity to have a social drink in one of the many bars. Details to be confirmed. All are welcome to informally join us after our Spring committee meeting to sample some of St Ives’ finest C20 sights, including Tate St Ives (Evans & Shalev, 1989-93) and the Barbara Hepworth Sculpture Garden. Further details to follow. We are aware that we have never organised an event in North Devon. We would like to plan a trip around the Barnstaple and Ilfracombe area. Ilfracombe has the Landmark Theatre and the Damien Hirst sculpture ‘Verity’, but do any of you know of other interesting buildings, sculptures, murals etc. that we could look at in the area? Please contact Geoff Stow at geoff.biy@icloud.com if you have any suggestions. These dates are now confirmed. We will visit Newquay Police Station & Former Magistrates Courts (Alan Groves, 1973), and visits to Modernist houses are on the cards, although final arrangements are in progress. There will also be the opportunity to visit the Bedruthan Steps Mid Century & Vintage Fair. If you wish to make a long weekend of it, then we will be providing details of things to visit on St Mary’s on the Isles of Scilly, at your own expense and leisure either side of the weekend. Keep an eye on our Facebook page (log in required) and website for further information. Full details will be available in the next C20 South West e-bulletin. The C20 South West group was launched in early 2015 (as the Far South West group), with a meeting in Plymouth. It covers Cornwall, Devon and West Dorset. 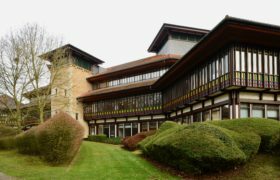 The area’s wide variety of C20 buildings ranges from post-war development in Plymouth and Exeter, early work by Team 4 in Feock, Cornwall, to the De Stijl-inspired High Cross House, at Dartington. The group’s launch coincided with the campaign to list Sir Nicholas Grimshaw’s former Western Morning News Building (1993) – known as the ‘ship’. Contact: If you would like to become a member of the C20 South West Group and be kept informed of further events please email Tony Stokoe, who is based in Lympstone near Exmouth. You can follow us on Twitter @C20SocFarSW.